Re-creations of three vessels that brought America’s first permanent English colonists to Virginia in 1607 tend to be moored at Jamestown Settlement’s pier for people to board and explore. Visitors can read about the four-and-a-half-month voyage from The united kingdomt and indulge in periodic demonstrations of 17th-century piloting and navigation. Visit the ‘tween deck of Susan Constant to know about shipboard life and tight conditions during trip to Virginia. Take to steering with a whipstaff or tiller, link sailors’ knots, climb into a sailor’s bunk. The Jamestown payment re-creations are designated “the formal fleet associated with the Commonwealth” because of the Virginia General Assembly. While among vessels sails sporadically from Jamestown payment to participate in commemorative and community occasions and number maritime outreach academic programs for pupils, in most cases all three is seen at museum. Costumed historic interpreters assist site visitors in examining the boats and learning about the 1607 voyage and 17th-century shipboard activities. The initial Susan Constant, Godspeed and Discovery set sail from London on December 20, 1606, bound for Virginia. The boats held 105 passengers and 39 team users on four-month transatlantic voyage. A 17th-century resource noted that a total of 71 people were aboard the Susan Constant, 52 aboard the Godspeed and 21 aboard the Discovery. 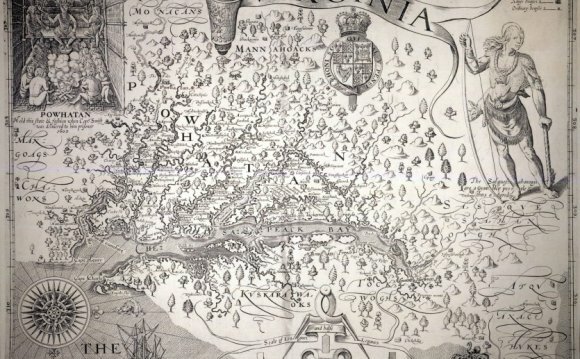 The journey ended up being sponsored because of the Virginia Company of London, a commercial enterprise that were arranged to form a colony in Virginia. The fleet reached the Virginia coast in late April and, after fourteen days of inland waterway research, reached the selected settlement site on May 13, 1607. During the voyage, the Susan Constant was about one-year old and was rented from Dapper, Wheatley, Colthurst alongside partners. The origins for the Godspeed and Discovery are unsure. The Susan Constant and Godspeed returned to The united kingdomt in Summer 1607, even though the Discovery stayed in Virginia and was employed for Chesapeake Bay and coastal research.